Ride Along with Aidan Brooks Racing as a 2018 Sponsor! There are several types of sponsorship available to meet every level of interest, for those people just wishing to get up close and personal to the action at each race, to those interested in sponsoring one of Aidan’s cars. 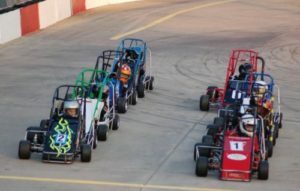 Sponsorship is a great way to get involved in, and to support, the sport of quarter midget racing! Download the Aidan Brooks Media Kit to learn more, or submit the form below to be contacted about sponsoring.